Waiting On Wednesday is a weekly blog post hosted by Breaking The Spine where readers showcase which books they are highly anticipating. 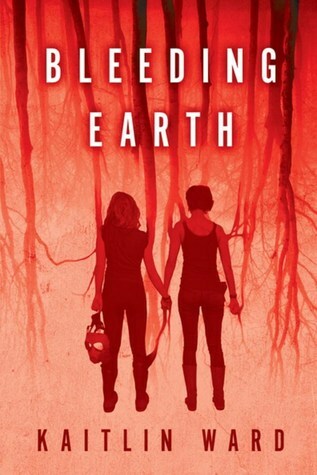 This week I'm turning my spotlight on Bleeding Earth by Kaitlin Ward. Even though the cover doesn't really grab me, the book itself sounds amazing. Is the blood real or is all this in her head?? Based on the premise it really could be either. Also, I really love that the main couple aren't traditional. YA books need more couples like this to show that whether gay or straight all go through the same trials and tribulations as the other. Lastly, yay for more YA Horror!! Since I'm curious, Have you heard of Bleeding Earth before? This one sounds creepy! Not my normal read, but could be very good. WHAT THE WHAT?! This sounds insane!